Subscribe by email to the three hostesses. They will return the favour. Let’s have fun and meet (and read via email) some new blogs!! This is a Blog Hop! 50 entries so far... you're next! Thanks for dropping by Library Girl Reads. I subscribed to your e-mail (frugalsciencegal [at] gmail [dot] com) and am coming from Mailbox Mondays!! Thanks for subscribing and following. I have subscribed and followed you too. 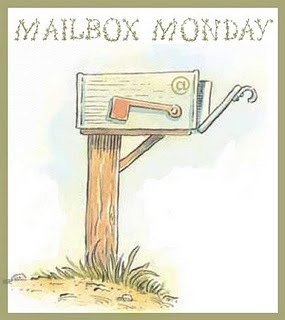 I am now an email subscriber from Mailbox Monday! Stopping by from Mailbox Monday!I already email subscribed but now I GFC follow as well! I'm an e-mail subscriber, following you back from Mailbox Monday. Thanks! Thanks for stopping by Lemons to Lemonade. I am now a subscriber.